Most holiday Things to Do are traditional and all are intended to heighten your enjoyment of the season. 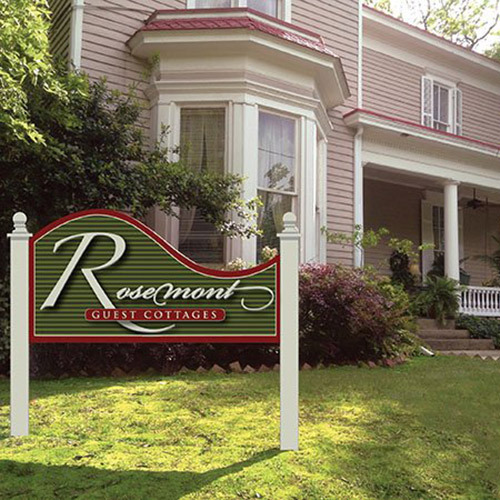 Starting with the River Market Amphitheater … just a five minute drive from Rosemont Inn & Rosehaven Cottages. The park is transformed into a winter wonderland by a light show choreographed to music. Light shows happen every ten minutes so you never have long to wait. 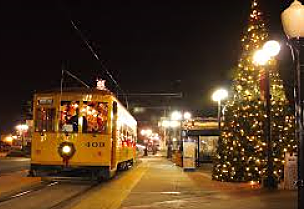 In the River Market, even the old fashion trolleys are sparkling with Christmas lights and, a few blocks away, the State Capitol is literally ablaze with light and color. You can then be delighted by The Rep’s rendition of the loveable ELF or The Arkansas Art Centers presentation of the Velveteen Rabbit. Our Symphony Orchestra will once again thrill audiences with The Nutcracker, as timeless as Christmas itself. Take a short trip to Moss Mountain Farm for P. Allen Smith’s incredible holiday tour of his garden home. Lunch is part of the experience and Allen is generally there to greet guests and chat. Decorations at the farm are lovely and give all of us wonderful ideas for our own homes. If shopping and dining out are favorite ways to celebrate the season, Little Rock is the place for you! Midtown is fairly overflowing with shopping opportunities, everything from small boutiques, specialties of every kind including vintage shops to such major names as Pottery Barn, j.jill, Williams-Sonoma, Victoria Secret and Dillards’s two flagship stores. You will go home feeling like Santa’s best helper! Relax at Zin Wine Bar in the River Market District, stroll to Cache Restaurant or the elegant One Eleven at the Capitol Hotel for a truly festive evening on the town. For a more provincial dinner consider South on Main Restaurant for an upscale Southern meal you won’t forget in a picturesque urban setting. Or, spend an evening at Bruno’s Little Italy in the heart of Downtown Little Rock enjoying old family recipes that have been pleasing locals since the mid-1940s. 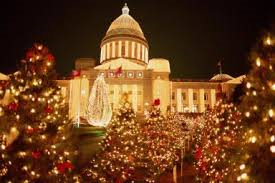 Little Rock “dresses up” for the holidays so expect to see light-festooned streets, stately historic homes decked out, shops and restaurants at their seasonal best and in the air will be the feeling of Christmas.